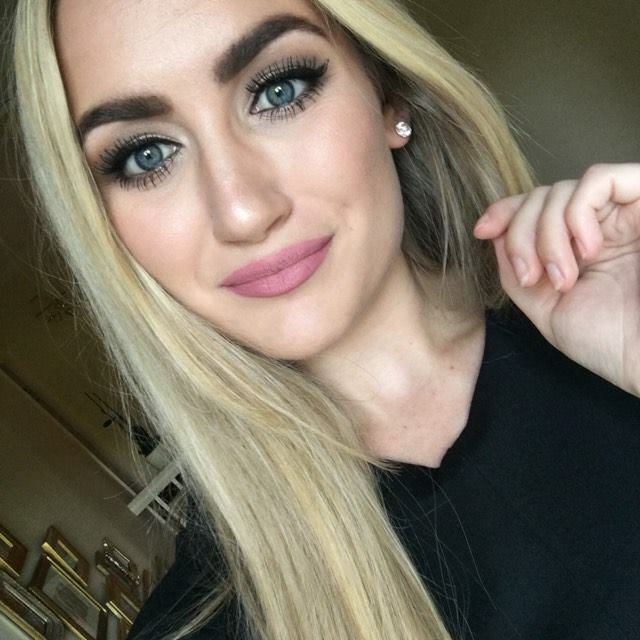 Not sure how this became a picture heavy post but hey ho! It would be a shame for the photos to go to waste. 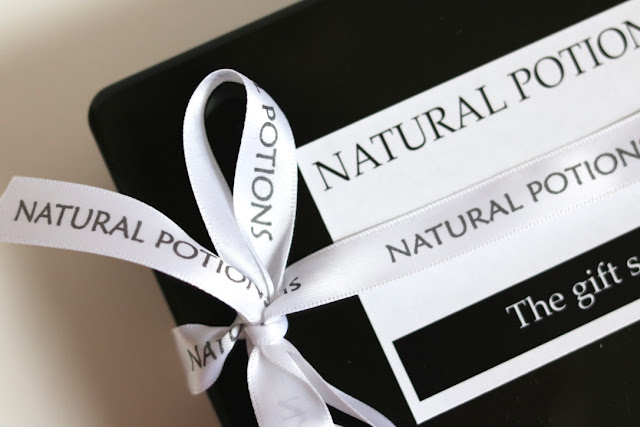 I was given this Natural Potions gift box to review during January and I am now happy to provide my (positive!) insight on the products. 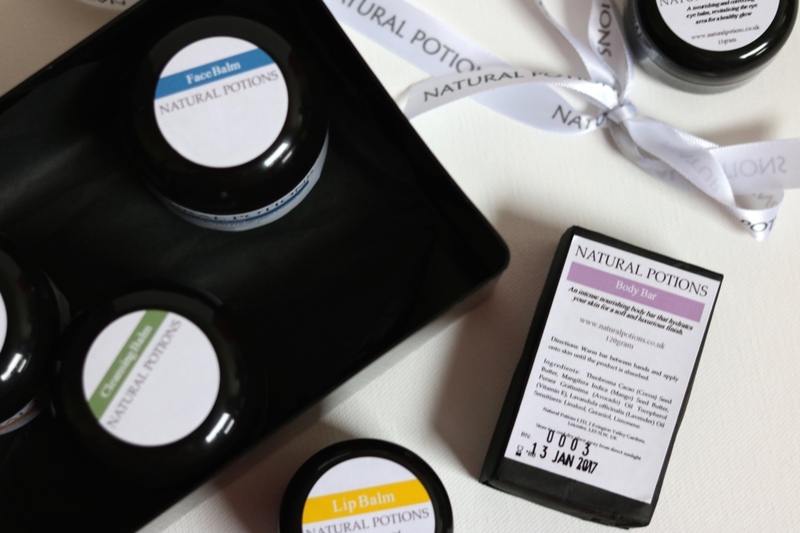 I first came across Natural Potions on Instagram and was very interested in their products. They are a brand new company, based in Leicester, run by couple Fatimah and Mohammed. 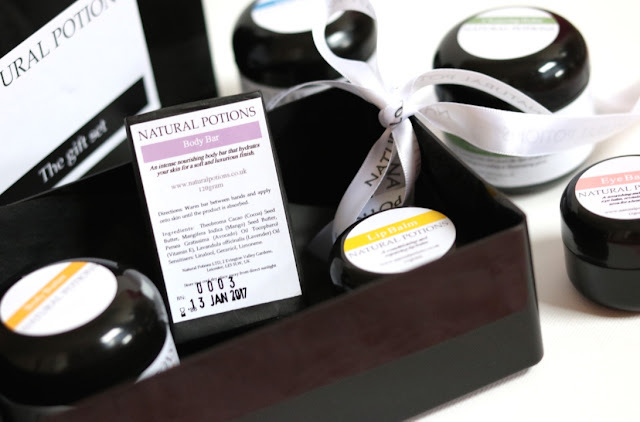 They are a couple who decided to release a line of products, which make full use of the wonders of natural resources and leaving out chemical ingredients. 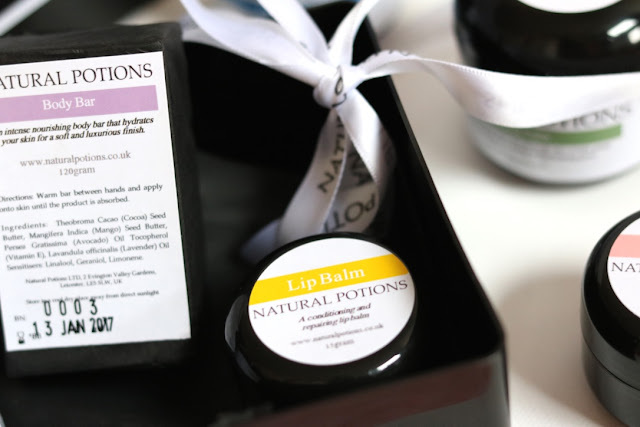 The products are all handmade and use natural ingredients, most of which are certified organic, fairtrade and vegan. Due to the beeswax used in some products, they become non-vegan by default. They are not tested on animals and the packaging is recyclable. The gift set was a pretty little black and white box, made out of the same plastic as the products come in. I really loved the little bow and have even managed to keep it intact! 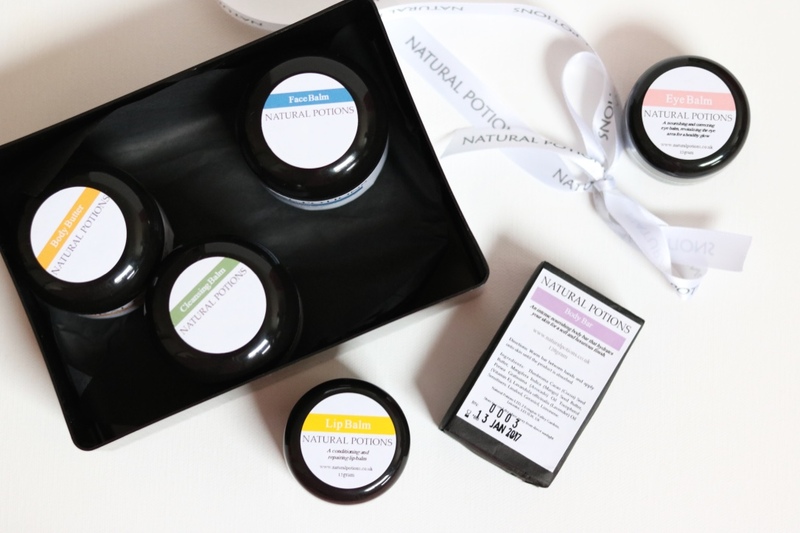 The gift box included: a Cleansing Balm, Face Balm, Body Butter, Body Bar, Eye Balm and Lip Balm. This is one of my favourite products out of the set. I use it as a makeup remover in the evening. I only have to take a little bit out of the pot, rub it in all over my face and then wash off with a warm muslin cloth. Easy. It takes off all of my makeup, including waterproof eyeliner. It smells great and leaves my skin feeling really soft. 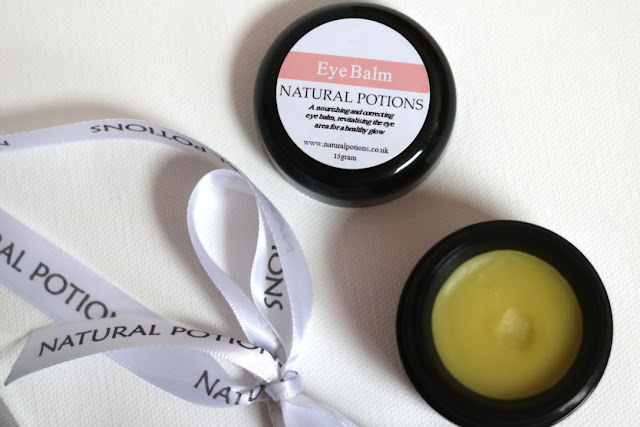 I have a similar Clinique makeup removing balm and they are just as good as each other for taking off makeup, but I think the Natural Potions one leaves the skin feeling more moisturised! I use this product as a night cream, and it works really well. It's not sticky at all and very comfortable on the skin. It does take a little while to sink into the skin, but I find that is normal for night creams. I wake up and it has all been absorbed but my skin is left feeling soft. It smells of lavender, which is supposedly supposed to help you fall asleep. I have no idea if that makes much of a difference or not, who knows! It's very thin and easy to apply. I will be very sad when this runs out! The body butter has a real strong citrus smell to it, mostly orange but there is a hint of mango as well. It instructs you to put it onto damp skin but I have used it on both dry and damp. When it's dry, I find it is a little bit too thick for me as it does take a little while to sink in, but that is purely down to personal preference. I have never been a fan of the Body Shop body butters either! When wet, the product sinks into the skin much quicker and it is much more pleasant for me. 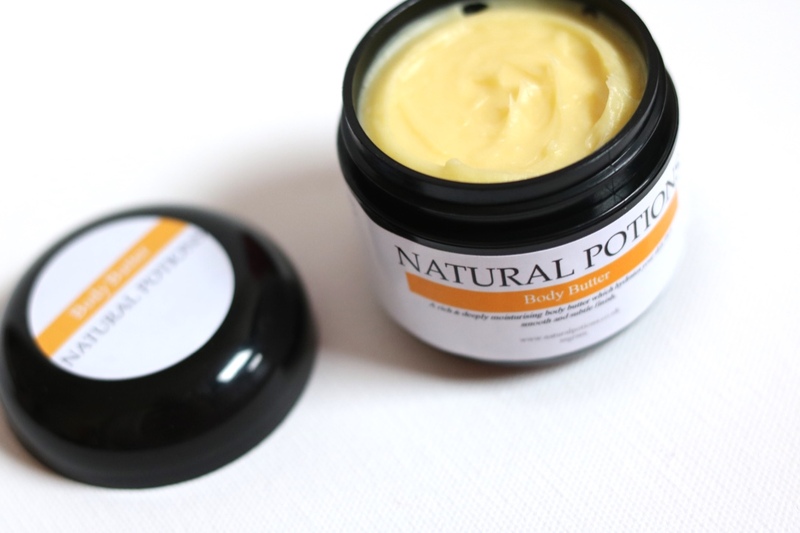 It smells lovely on the skin, you can really smell the sweet citrus smell for a long time after applying. This product is quite something! I wasn't expecting quite so much to come from such little effort. I only had to rub the bar once to have that area covered. I've never used a body bar before, it's been fun trying out this one. Once applied, it does take a little while for the product to sink in. I pop it on before going to sleep/binge watch Jessica Jones and by the time I've woken up, it's completely sinked in and left my skin feeling really soft. 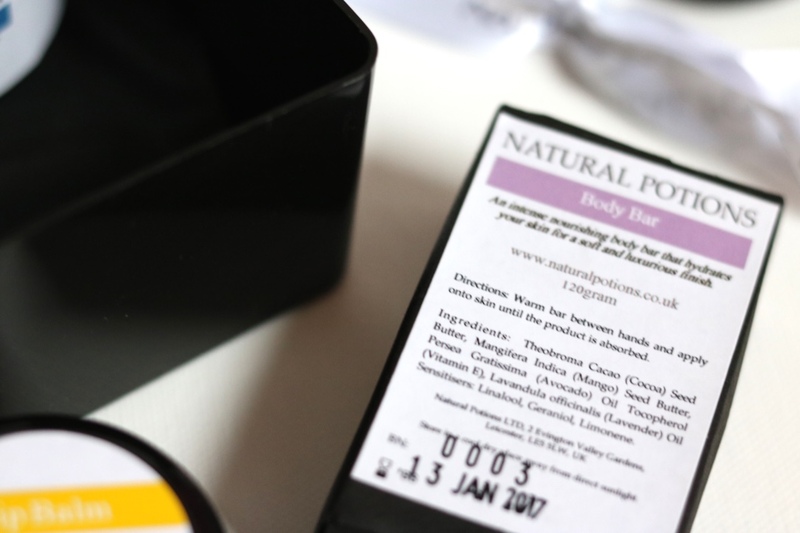 Although you can smell the orange in the bar, it's much more subtle than the body butter. It is a little bit more sweet and you can smell hints of lavender in it. Honestly, I am absolutely useless when it comes to eye cream. I couldn't tell you if it worked or not because I just don't know what I'm looking for. It is quite a thin consistency, very moisturising and doesn't have a strong scent. It smells slightly of mango. That's all I got! 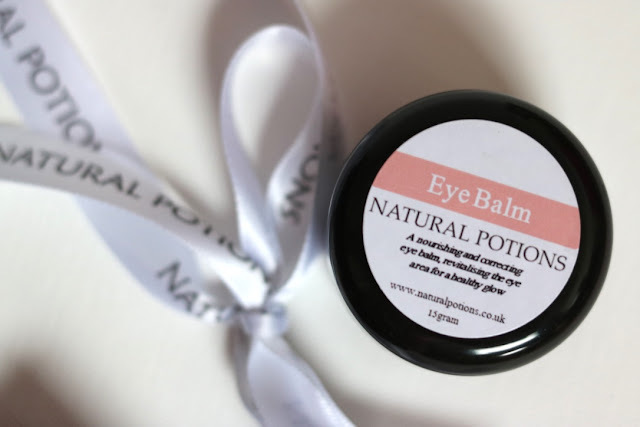 I find that if I have the face balm on, then there is no need for me to have an eye balm on as well. Another favourite of mine in this set. It smells GORGEOUS and moisturises my lips really well. It's thick but very comfortable on the lips. It smells of mango and makes me very happy. 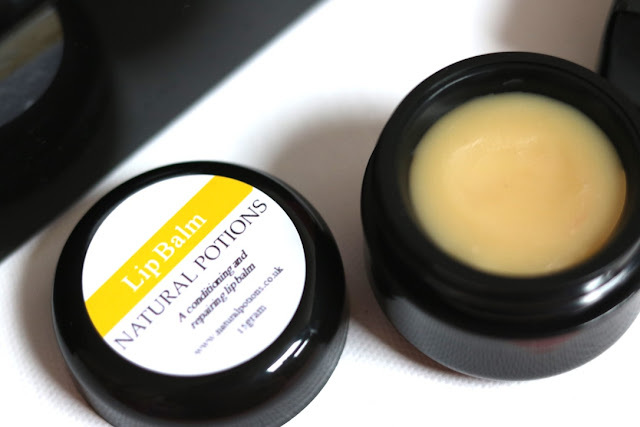 I have found in the past that lip balms will stop working for me after a couple of weeks, but that hasn't happened with me so far with this lip balm. Let's hope it stays that way! That concludes my review of the Natural Potions Gift Set box! I'm very very impressed with the products, especially by their simplicity to effectiveness ratio. Goes to show that you really don't need that many ingredients to make a good product! 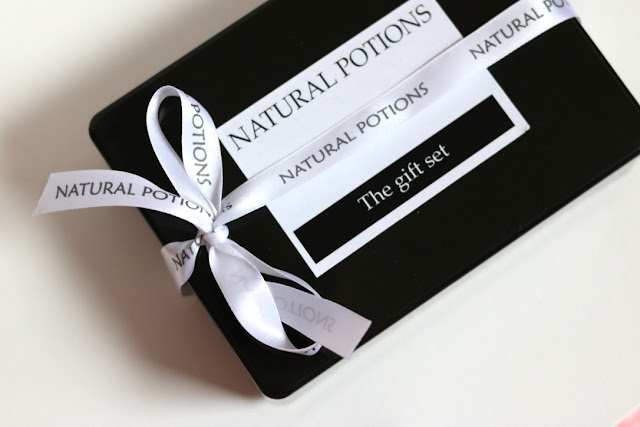 Click here to check out the Natural Potions Gift Set on their website. Hint: there's a sale on at the moment! It would be great if you could go and show Fatimah and Mohammed some support, we all started somewhere! Feel free to check out their Instagram or Twitter pages, I know they would really appreciate it. 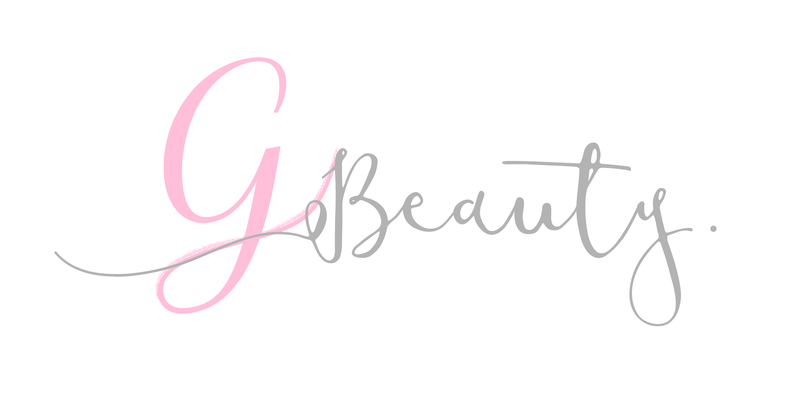 Thank you for reading and I hope you enjoyed the post. 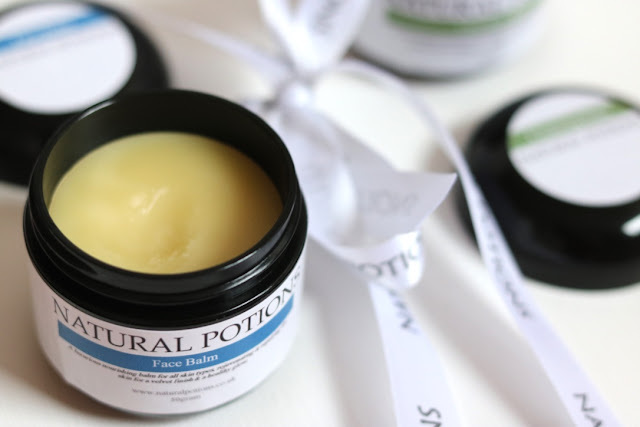 Let me know in the comments if you've ever used any Natural Potions products before! I have also been given some hot oil hair treatments to review as well, they will be up on the blog as soon as I've tried them!